Looking for inspiration for the festivities? 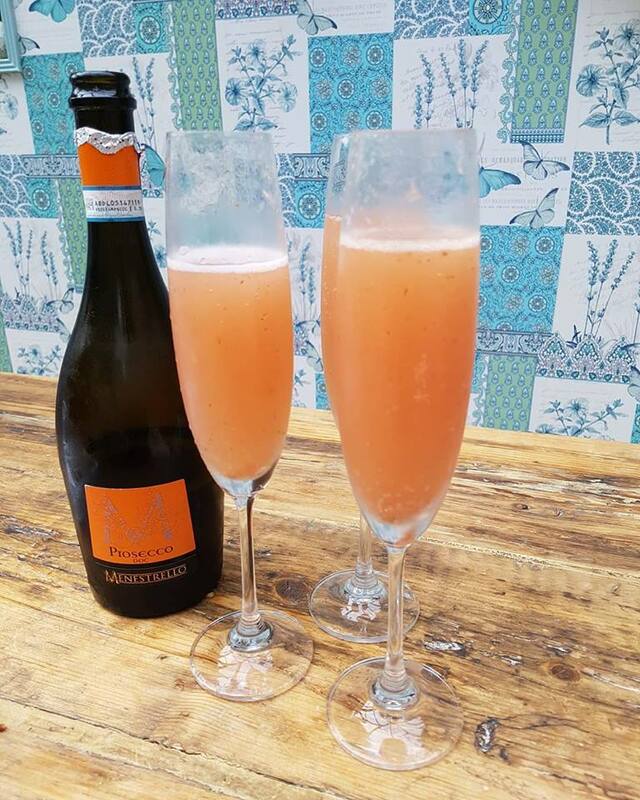 This fun, lively workshop and tasting day shows you how to make an extensive range of beautiful foods for the festive party season, Christmas, New Year and everything in between. Weaving Janice’s expertise in fabulous ferments alongside her own nutritional and culinary backgrounds, Sonnda has created a sublime five-course menu that will tantalise the taste buds of fermentation fans and foodies alike. Packed with festive cheer, inspiration, innovative recipes, health info, culinary tips and pro tricks of the trade, it’s the perfect day out for anyone who loves great food but also wants to enhance their health and wellbeing. Working through the menu from start to finish, you’ll taste each item, learn how to make it, get hands-on for key techniques (including how to pipe like a pro! ), and take away all recipes. After preparing and decorating your own mushroom tartlets, you’ll sit down to enjoy them as part of a fantastic 3-course lunch. Your gut affects every system of your body: digestion, brain function, metabolism, hormones, sleep, skin. This course will be of benefit whether you have an ailment of one of these systems, or simply want to optimise your overall health and wellbeing. Has dietary restrictions but isn’t prepared to compromise one bit on enjoyment! 10am-4pm, including a 1-hour sit-down lunch. Former food scientist and biochemist specialising in food and drink research, Macrobiotic Health Coach and Permaculture Design Award winner, Janice founded Nourished by Nature to unite her expertise in science, agriculture/growing, food and health. Also a passionate food blogger and massive foodie, Janice has become a highly respected expert in fermented foods and drinks. Prepared in the traditional way, these probiotic foods are the key to vibrant good health; on every level. 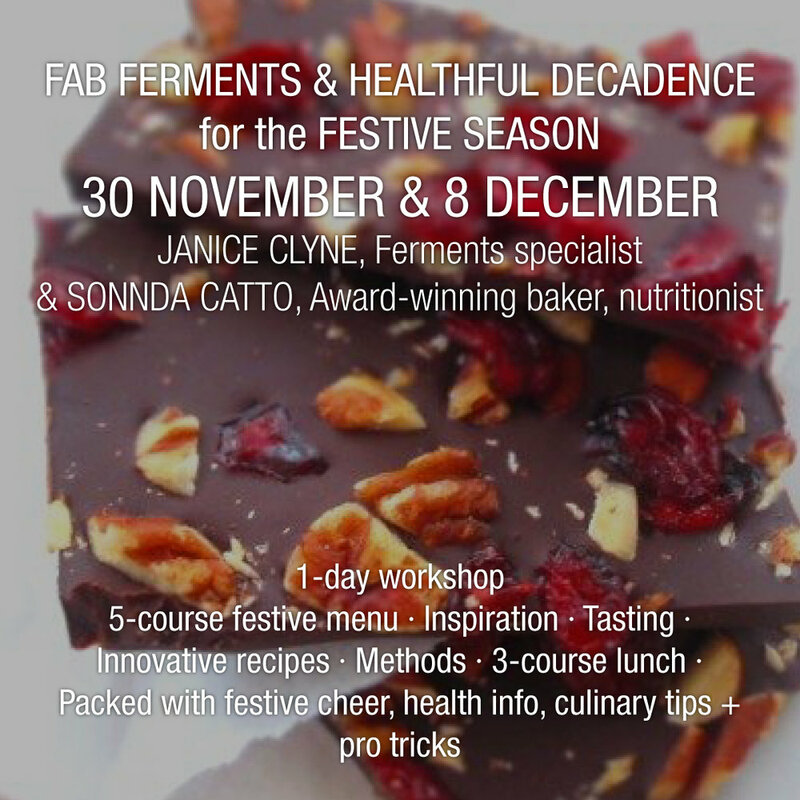 Janice shares her vast knowledge through fun and inspiring workshops, empowering clients to confidently make fermented foods and drinks at home, improving their health while discovering a whole new world of amazing flavours! Nutritionist, public health scientist, chef and award-winning baker, Sonnda’s career reflects her interests in both food and health. After 15 years at the forefront of health research in Scotland, Sonnda studied at the UK’s top culinary school, Le Cordon Bleu London, worked under some of the best names in the food industry (Pierre Gagnaire, William Curley, Maggie Austin), did a stint at Michelin-starred level, and founded her own artisan food business, Hautecake by Sonnda Catto, before coming full circle to blend both areas of expertise. Since 2016, Sonnda has followed a free-from diet to manage a long-term health condition. Marrying her health and culinary skillsets, her beautiful recipes are proof that you can love your food no matter how restricted your diet may be! 16 Forrestfield Crescent, Newton Mearns, Glasgow, G77 6DZ.